An Illinois native with experience in Iowa newspapers has joined the staff of the Ida County Courier, Holstein Advance and Aurelia Star. 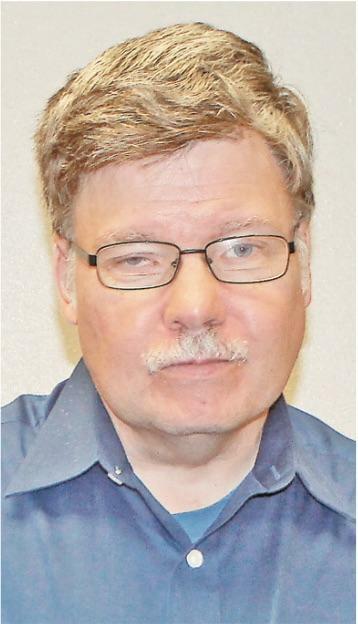 Steve Peterson of Ida Grove was hired at Mid-America Publishing June 9. His duties include regional news and sports reporting and photography, including for the Aurelia Star edition. Peterson worked for eight years as a reporter in Akron previously and in suburban Chicago newspapers for two decades plus. He is a graduate of Northern Illinois University in DeKalb, Ill., as well as high school in suburban Crystal Lake, Ill.
Of course, a summertime start means coverage of baseball and softball, county fairs and town festivals. Football season isn’t far behind. Peterson’s interests include discussing Chicago Cubs’ World Championship run in 2016. This year, it’s not so great for his team, but there’s still hope for a Central Division title and playoff entry.